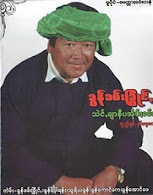 Taunggyi Time (ေတာင္ႀကီးတုိင္းမ္): A BURMESE PERSPECTIVE: Why should the West Fall into Burmese Trap? After the visit of Hillary Rodham Clinton, Thailand’s Prime Minister Yingluck Shinawatra, Indonesia Foreign Minister Marty Natalegawa (Chairperson of ASEAN), Japan Foreign Minister Koichiro Gemba came. Now the British Foreign Secretary William Hague, have visited the country to be followed by the Danish Delegation and the French Foreign Minister Alain Juppé. Earlier, Norwegian Minister for Environment and International Development, Mr Erik Solheim, had come and all seems to fall into the Burmese Generals’ trap even though Daw Aung San Suu Kyi had warned that there is nothing to be excited about it. It seems that the visit of Hillary Clinton is interpreted by the Western leaders as a green light to begin to lift sanctions and provide development assistance as men by nature is an economic animal. But promoting the commercial interests too much, too soon, rough riding shot over human rights and democracy is not advisable. The West should not be carried away by some cosmetic reforms and that Burma’s long-ruling military still wields enormous power despite a veneer of democracy provided by the sham elections with a dubious constitution. It would be irrational and irresponsible for the international community to consider lifting the current sanctions and allowing foreign investments return to Burma; doing so will only enrich the top tiers of the military regime and their business associates while enslaving millions of people under their oppression. This will surely lead to regional instability. Great care must be taken that these visits did not lead to a big kind of commercial deal. I recollected of how the people used to laugh at me when I make a presentations in Europe and America some three decades ago that Burma was unique and the Generals are very cunning, cruel and tricky. The international community construed that Burma, is just like any other Third World Dictatorial Countries that is soon bound to change. That was sometime in the late 70s or early 80s when the winds of change came howling through Asia and dictators like Philippines’ Ferdinand Marcos, Indonesia’s Suharto, Pakistan’s Ayub Khan, Thailand’s Thanom Kittikachorn were making their exist and the world predicted that Burma’s Ne Win would soon follow. But prove to be wrong. Now the Arab spring came smiling and the self appointed international Burma experts, political pundits, international think tanks like ICG with an economic eye are predicting that the Burmese spring is imminent, after a long winter and predicted that soon these sordid generals would soon be history. I am afraid that they will be proven wrong again. Of course, not every Burman/Myanmar is bad but every Burmese administration is bad and this has been authentically proven by ancient and contemporary histories of Burma. The act of deceiving or concealment or distortion of the truth with the main purpose of misleading, duplicity or fraud and cheating seems to be the standard of all the Burmese military administrations. Synonyms like deceiving, trickery, deception, craftiness, crookedness, cunning, dishonesty dissembling, dissimulation, double dealing dupery duplicity, fakery, foxiness fraud, guile wiliness all seems to fit Thein Sein’s pseudo-civilian government. Daw Aung San Suu Kyi herself has revealed that Tatmadaw, wield immense power. As things slowly revealed, Than Shwe used his National Defence Security Council (NDSC) where his proxy the Vice President and the Army Chief plays key roles in blocking the release of leading dissidents serving long sentences. In shot he is using the Tatmadaw against Democracy, Development and the Union of the country. Its sole purpose is to be in power in perpetuity. Than Shwe and his military colleagues who are the real power behind was able to trick the international community by making some cosmetic changes when it release just a mere one tenth of the 2,500 political prisoners while celebrating its independence day by launching an all out war using air force and chemicals weapons against the ethnic Kachin in their course of ethnic cleansing policy is a clear indication of their real intention. What more prove is wanted when influential businessmen like the fugitive former Thai Prime Minister Thaksin Shinawatra, met with the Junta supremo Than Shwe under the pretext a preparatory trip Yingluck Shinawatra’s visit to Burma. Being one of the architects of ASEAN’s Constructive Engagement Policy knew exactly who the pivotal figure behind the scenes is. His not so secret meeting with Than Shwe proves not only the “hush hush” dealing but expose the lingering presence of Than Shwe even on the diplomatic scene. That is why Daw Aung San Suu Kyi herself said that that Tatmadaw could block the reforms “I am concerned about how much support there is in the military for change, how far the military are prepared to cooperate with reform principles.” Even though there was a momentum for change one should not be prematurely over optimistic and relax for the Tatmadaw can change everything as she has indicated. However, I was aghast when George Soros, billionaire American philanthropist, whose foundation supports grantees that provide uncensored news on Burma and activists, visited Burma. Speaking with him earlier at the Copenhagen Conference my impression that he was well advised by his Burmese advisers, the Burma Project has proven wrong again. One of the most important aspects of the military regime is that it believes that universities education are the birth place of dissent against autocratic rule and want to kill progressive ideas. Hence since 7th July 1962, the Burmese generals have sought to subvert education in Burma to remain in power at any cost. They kill most of the universities students whenever there were a crisis, often close them and send them to remote places and at the same time indirectly encourage them in consumption of recreational drugs on campus just to veer students away from opposition politics. It had bonded the rights to education as a hostage to be always held in captivity and then they can control the country. But the children of the Generals and those rich enough enjoy uninterrupted and quality education. At the same time Tatmadaw has established its identity as über-nationalist, superior institution solely capable to safeguard them, the new officers are expected to become knowledgeable in economic and other matters to be able to fulfill their extended political and military tasks in building a strong military force and a wealthy and technologically developed army. While the national education system suffers chronically from lack of funds they want their children to go to the West and studies and here come in the Western sanctions that prevented them from doing so. One of the pretext if not the raison d’être in ending the Western Sanctions is to counter an increasingly heavy Chinese influence on the country as in April the European leaders will decide whether to continue the current sanctions or not. But the hidden agenda is that the old generals are desirous to transfer their ill gotten money to their near and dear ones in trustworthy Swiss and other Western Banks as China could not be trusted and this is the real reason of why they crave so much for Western Sanctions to be lifted. The young and the new powerful group of military men and their families are still eager to follow the old generals and earn huge personal wealth from international trade and the rapid development of what is one of the poorest countries in the world. If this is the case then William Hague should rather invite these Burmese Generals to The Hague in Netherlands to the International Criminal Court for their crimes against humanity instead of relaxing the punitive actions. (Prof. Kanbawza Win, the former Foreign Affairs Secretary to the Prime Minister of Burma has worked as a Senior Research Fellow at the European Institute of Asian Studies) Ed.